Including a personal memoir from the former Guardian editor, plus the Rag Radio interview. Below, see “Jack A. Smith: My life and times at The Guardian,” originally published by The Rag Blog in August 2012, and listen to Thorne Dreyer’s 2012 Rag Radio interview with Smith. I wanted to let you know that Jack Smith, my life partner and the creator and editor of the Hudson Valley Activist Newsletter and Calendar, has died… I know you and he did an interview together not so long ago. We read it together when the family gathered after his death. 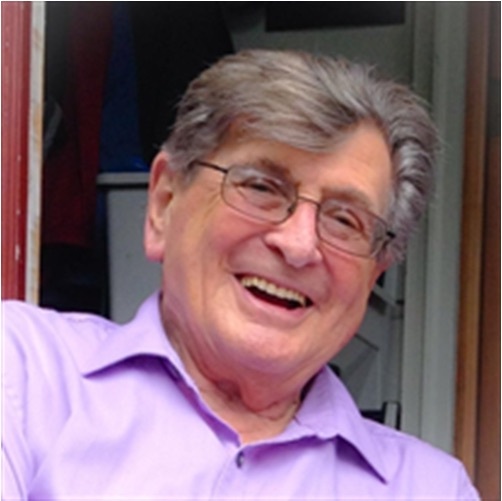 Jack A. Smith died of complications of COPD in New Paltz, New York, on June 29, 2017. Jack was with The Guardian for 21 years, serving as writer, news editor, and editor. During the late 1960s through the 1970s The Guardian was the largest circulation independent left-wing paper in the United States. In his later years, Jack Smith lived in the Hudson Valley, north of New York City, where he remained politically active, organizing demonstrations and publishing the monthly Hudson Valley Activist Newsletter which had a circulation in the thousands. The excellent obituary Donna included with her note adds some texture to the picture of Jack’s life. Along with his career as a writer and editor, Jack was an avid camper, hiker and cyclist, a lover of music and reading, and, in his healthier years, a good martini. Jack was an animal lover and vegetarian from the age of 12. He was also a brother, a father, an uncle, a grandpa, and a devoted husband to Donna. Jack will be remembered not only for his quest for justice but also for his hearty sense of humor and his zest for life. The obit also included a biographical synopsis of Jack’s life and work — but we will soon let Jack himself tell that story. 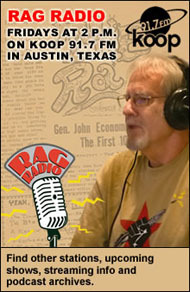 On August 3, 2012, I interviewed Jack Smith for an hour on Rag Radio. Jack and I were friends and colleagues in the 1960s and ’70s when he was editing The Guardian, originally the National Guardian, and I was working with the Students for a Democratic Society (SDS) and the underground press in Texas, and then Liberation News Service (LNS) in New York. Our friendship and collaboration was renewed in recent years. Jack published some of my writing at The Guardian when I was editing The Rag in Austin in the mid-Sixties, and in recent years we reciprocated by running a number of his fine analytical essays on The Rag Blog. He taught me how to write like a pro. I had to do ledes in 25 words answering the 5Ws, and with an active verb. Once I learned it, he cut me some slack. Same with headlines. I had to read the New York Daily News and see how they did it, then do it for the left. 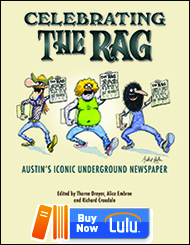 In our 2012 Rag Radio interview with Jack Smith, he discusses his early commitment to radical pacifism, his work with The Guardian, the significant part played by The Rag and the ’60s underground press of that era, and his later life in the Hudson Valley. We also discussed his Rag Blog articles and his take on American and global politics circa 2012. When I was preparing for my interview with Jack, I asked him to send me some biographical material, and what he gave me was so impressive that we ran it on The Rag Blog, on August 2, 2012, as a stand-alone article. We present it here: Jack Smith’s obituary — in his own words. 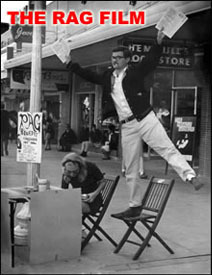 National Guardian reporter Jack A. Smith, 1964. The National Guardian strongly opposed the Cold War, imperialism, and racism. It was against the Korean War, Vietnam War, and all the U.S. wars during the Cold War period. It generally supported the socialist countries of the time, though it was not explicitly socialist. True to its third party origins, the paper never backed a presidential candidate from one of the two ruling parties. 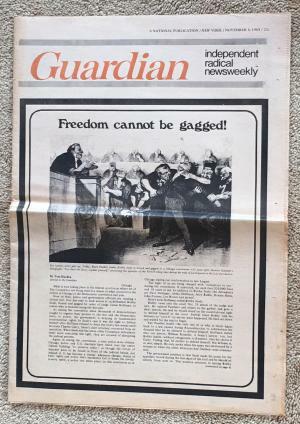 During the late 1960s through the 1970s The Guardian was the largest circulation independent left-wing paper in the U.S. (24,000 paid copies a week, with up to three or four pass-on readers per copy). I was born in New York City to a low income family in 1934, so I’ll be 78 this month, August . My widowed mother went to work to support her two kids, my sister, and me. I began working full time at 16, attending night school to get my high school diploma. I began reading radical papers, including the National Guardian, as a freshman in high school and developed socialist views at that time, which I still hold. I was involved with the radical pacifist movement in my early 20s and at 26 (1961) returned my draft card to the Selective Service System, defying the law forcing all young men to carry the card “on their person at all times.” I told the SS that I opposed President Kennedy’s war threats, U.S. support for South Vietnam, and the nuclear buildup, and would not carry a card in protest. After interviews with the SS and FBI, the federal government drafted me as punishment. I was over age for the draft, 27 by now, plus I was deferred because I had two young children. When I refused the draft, I was indicted. UPI thereupon fired me, after eight years. I edited the Bulletin of the Committee for Nonviolent Action until my trial and conviction. I served nine months in federal prison. I began to identify as a Marxist in prison and drifted away from absolute pacifism. When I got out it was evident that I was blackballed from getting work in the bourgeois media. I had written a few articles for the National Guardian in earlier years and the paper hired me a few weeks after I regained my freedom in mid-1963, and I remained for 21 years, moving from writer to news editor to the paper’s editor over a few years. My biggest accomplishments at The Guardian included: transforming the paper into a worker’s cooperative (with equal, very low pay for all and a child allowance plus health insurance); doubling the size of The Guardian from 12 to 24 pages a week; increasing the paper’s coverage of the vibrant U.S. movements for social change (students, peace, women’s, gays, black power, civil rights, radical union struggles); switching from a “left progressive” editorial stand to Marxism; and working to make sure The Guardian contained the best coverage of the Vietnam War from a pro-Vietnamese point of view and that of the various peace groups in the U.S. I left The Guardian on friendly terms in 1984. I was very deeply in debt by that time — after 21 years of sub-minimum wages, and raising a child on my own — and simply had to get a better-paying job. I edited several commercial magazines until retiring from paid work in 1999. During this time I remained politically active and was associated with Marxist groups, as I remain today. My wife Donna Goodman and I moved from NYC to the college town of New Paltz, New York, about two hours north of the big city, in the early 1990s. We became politically active and began organizing a great many demonstrations and public meetings of a political nature, mostly in opposition to the imperialist wars (many of them were in conjunction with the Answer Coalition). When I retired I began writing and editing our own email Activist Newsletter and calendar every two weeks (now monthly) to people living in the Hudson Valley region where we organize. The Newsletter circulates to over 3,000 readers, most of whom took part in one or more of our rallies, meetings, and long-distance bus trips. We’ve taken from two to seven buses of local people to Washington demonstrations and back 24 times, beginning in the mid-90s). Our next action will be August 26 when the Newsletter is organizing a march and rally in New Paltz in opposition to the War on Women. 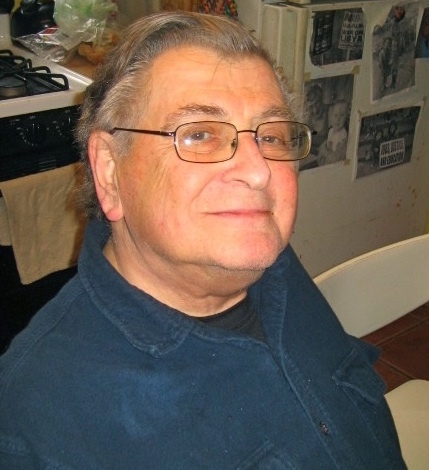 Jack A. Smith, a longtime progressive political activist and journalist who edited the influential U.S. left-wing newspaper, The Guardian, and later the Hudson Valley Activist Newsletter, passed away on June 29, 2017. 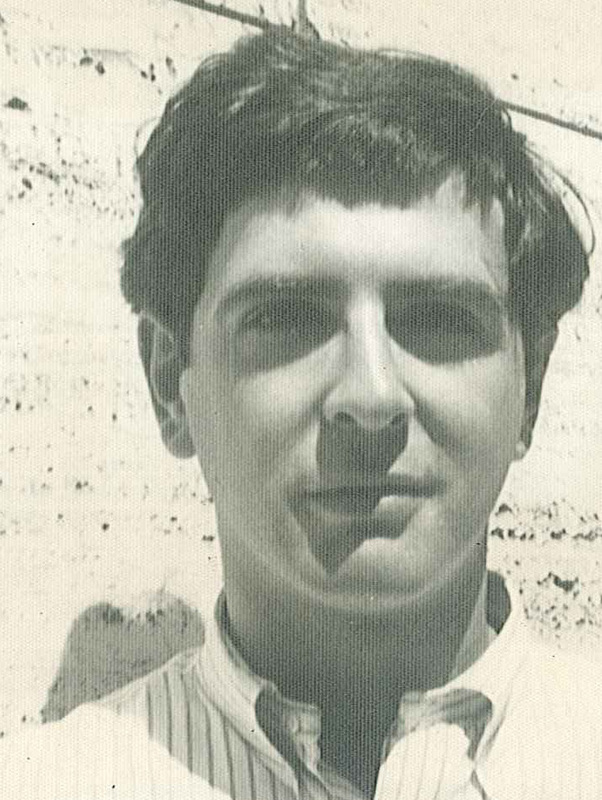 Thorne Dreyer was active in the New Left and was a pioneer of the ’60s underground press. He now edits The Rag Blog, hosts and produces the syndicated Rag Radio, and is a director of the New Journalism Project. 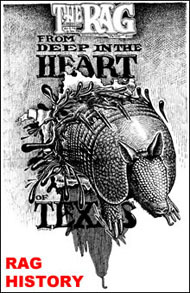 This entry was posted in RagBlog and tagged American Left, Deaths, Hudson Valley Newsletter, Jack A. Smith, Leftist Journalists, Obituary, Rag Bloggers, Rag Radio, The Guardian, Thorne Dreyer. Bookmark the permalink. Thanks so much for this beautiful piece on my dad Jack Smith, it’s very appreciated by the whole family. We love him and miss him. Great to learn of this early peace activist, publisher, and news analyst who worked right up to his call from this world. He fought the good fight for a better world. We will remember him. I was jacks colleague at the old guardian from 1963 to 1966 when we were comrades in the effort to modernize the paper I gave up when we lost almost every fight but he eventually won over the old guard I wrote for his paper for a few more years as an outsider until it veered too far out of my political orbit. Goodbye rigthous comrade!